According to AdLuge lead measurement data, so far in the last quarter of 2012 the average Cosmetic Surgeon is getting 15 leads per month at a cost of $155 per lead through Google Ads. One of the easiest things you can do to ensure your Cosmetic practice is being as effective as possible with your pay per click budget is making sure the account is setup properly. Here are 8 important things you need to make sure are in place to ensure your advertising dollars are well spent! 1. Setup unique campaigns for each of your services. Think of campaigns as a unique way to advertise each service that you offer. By setting them up in unique campaigns you will be able to control each services settings uniquely. 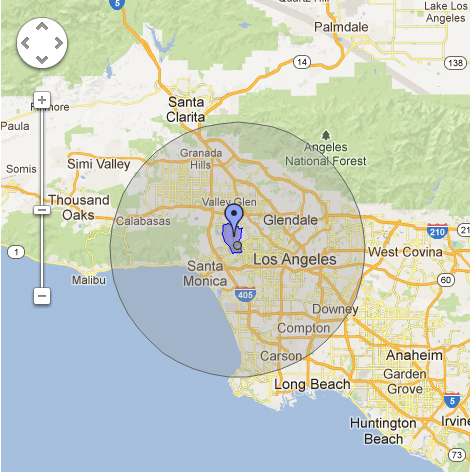 Some of these settings include geographic targets, ad scheduling, and devices that see the ads. The most important item you want to control however, is the budget spent per day. More on this below! 2. Make sure you allocate a unique budget for each procedure based upon the popularity or interest in getting patients in these areas. If you are like most surgeons you have some procedures that you prefer or are more popular. 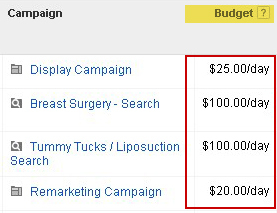 If you place all of your procedures under one campaign you will only be able to set one global budget. By putting each procedure in its own campaign you can make sure you set a higher daily budget to your most important procedures. The old adage rings true. You only have one chance to make a first impression. You pay each time someone visits your page. 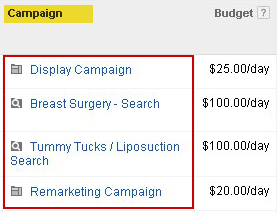 With Google Ads, you have the ability to tell someone searching for a specific procedure (ex. Breast Augmentation) to visit the most relevant page. So make sure that you send visitors to a page talking about the procedure they are searching for. Most importantly, make sure they have a small form (no more than 5 fields) to fill out so they can express their interest to you. 4. Make sure to set your geographic targets. We see this all too often. Campaigns that are setup without geographic targeting! If you are based in New York City, do you really want people in New Mexico seeing your ads? Probably not. We recommend using ‘radius targeting’. With this you can place a pin on your own office and declare a set radius around your clinic that you ads will show within. 5. 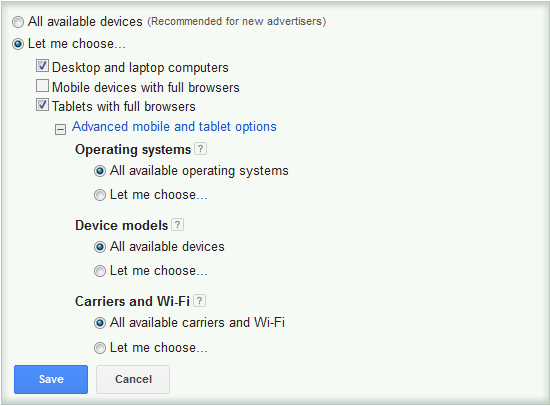 Set the devices you want your ads to be displayed on. If your website does not render on Smart phones that will then don’t include them. Most clinics do not yet have a mobile website. Since most clinics also are not maximizing the budget that they could spend on Google Ads then why waste those clicks on Smartphone users? Unless you have a mobile website we recommend only serving your ads to desktops and tablets. Note: if you do have a mobile site then setup your mobile campaigns separately! To setup a mobile website in less than a day we recommend using InstantMobile. 6. Make sure to measure conversions. 7. Make sure you are running a remarketing campaign. Without question this is one of the most overlooked opportunities that you need to employ right now! 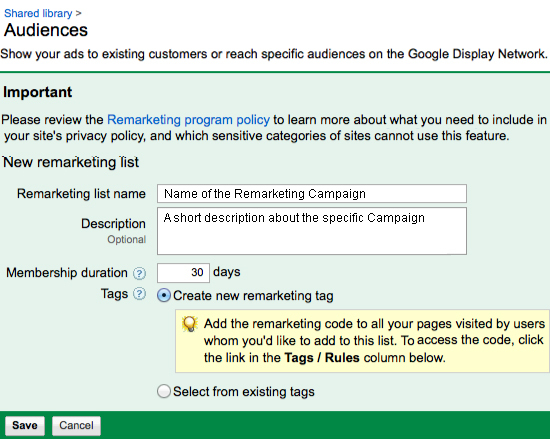 What is remarketing? Imagine serving beautiful display ads (or text ads) to people that have come to your website and then left? With remarketing your website is stored in a cookie on your visitors machine. When they continue surfing the web, your ads will show up on sites that show Google ads. This is a great way to keep ‘top of mind’ with your visitors! 8. Review your ‘impression share’ regularly. Do you ever find yourself typing in a search term that you know you are running an ad with and you don’t show up? This is probably because your budget is exhausted for the day. Or Google is averaging out your budget so that it lasts throughout the day. Either way, you can see what percentage of the day your ads are showing simply by looking at your impression share. Most cosmetic surgeons fall well short of running ads at a high rate. If you are happy with your current cost per lead, try increasing your daily budget to improve your impression share! An efficient and well run Google Ads campaign can bring your practice in a great deal of inquiries and business for your cosmetic surgery clinic. All too often we see doctors get a campaign running and leave it on ‘autopilot’. As the leader in your clinic it is your responsibility to make sure these campaigns are being run properly. If you aren’t checking these very important settings then at least make sure you hire someone that does.